This is Sugar & Honey’s final chapter. It was a short but sweet spin off and even though it never did lead to anything big or groundbreaking, it was enjoyable to read. I hope you all enjoyed it. Choco’s art book released back during C85. Unfortuntely we don’t have time to translate this yet but I didn’t want to sit on it for months with no one looking at it. 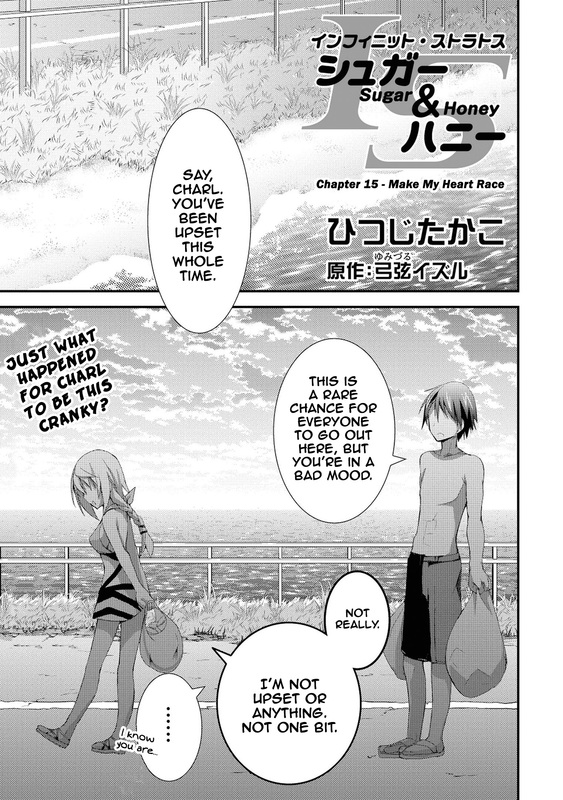 If someone wants to come aboard for a short time and translate, we have typesetters that can do the rest. But until then, enjoy the fantastic art from Choco. It’s been brought to my attention that not everyone can access eHentai, so I’ve added Imgur to view images online. If that still doesn’t work, let me know and we’ll find another way. A joint project done with our friends over at Life4Kaoru, be sure to check them out for more vanilla goodness. We’re finally caught up with Sugar & Honey, though the next chapter comes out on the 25th, so not for long. Anyway, enjoy.